На странице представлен выбранный Вами товар Sony 3001885 - Sony Spider Man - PlayStation 4. Release Date: 9/7/2018Starring one of the worlds most iconic Super Heroes, Spider-Man features the acrobatic abilities, improvisation and web-slinging that the wall-crawler is famous for, while also introducing elements never-before-seen in a Spider-Man game. 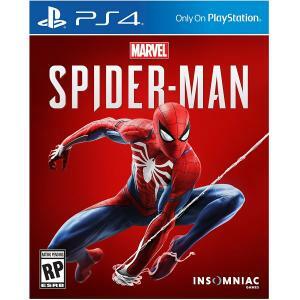 From traversing with parkour and unique environmental interactions, to new combat and cinematic blockbuster set pieces, its Spider-Man unlike any youe played before.Sony Interactive Entertainment, Insomniac Games, and Marvel have teamed up to create a brand-new and authentic Spider-Man adventure. This isnt the Spider-Man youve met before, or seen in a movie. This is an experienced Peter Parker whos more masterful at fighting big crime in New York City. At the same time, hes struggling to balance his chaotic personal life and career while the fate of millions of New Yorkers rest upon his shoulders.